Just roasted chicken last night using the spatchcocked chicken recipe from Food52, which I’ve done many times, and made roasted potatoes too, but next time I’ll use this recipe for a change. It looks great, simplifies getting the potatoes roasted at the same time, and I get to use my homemade Greek yogurt. Thanks for sharing! That’s almost too pretty to eat. Ha, who am I kidding? I think that is a perfect roast chicken…love the color. Yogurt is the greatest tenderizer! 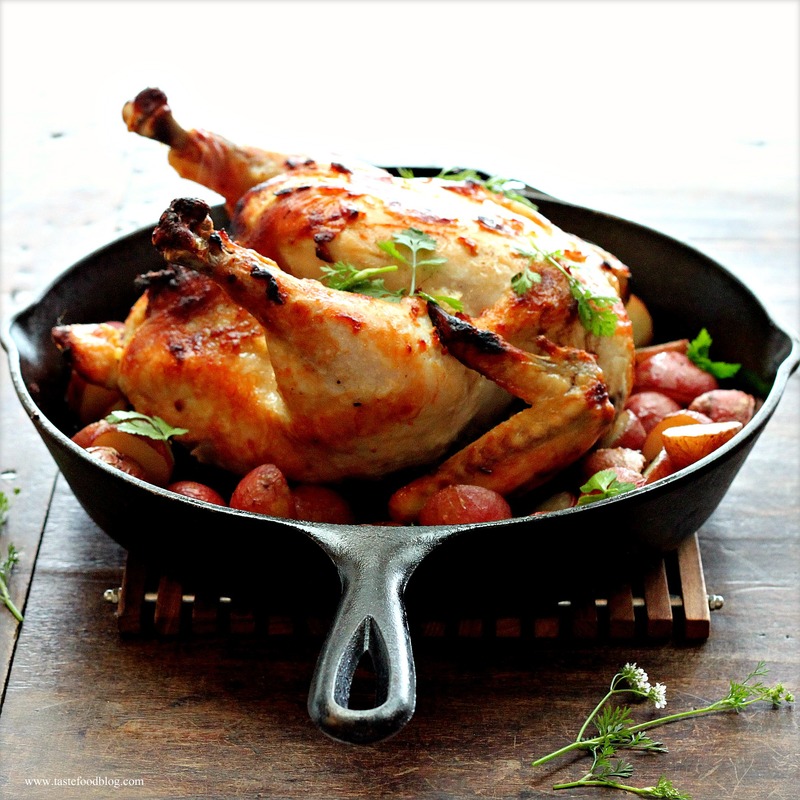 The picture of your chicken dinner is the epitome of a succulent & well roasted chicken! Who could ask for anything more? Sorry I meant to add…. Do you season your iron skillet just before you use it? I am iron-skillet impaired and my food always stick to the bottom, horror! I do so want to master this pan! I could eat just about anything scented with yogurt, lemon and garlic. This WILL BE next week’s chicken in our home. Yum, roast chicken is such a great way to start off the week!